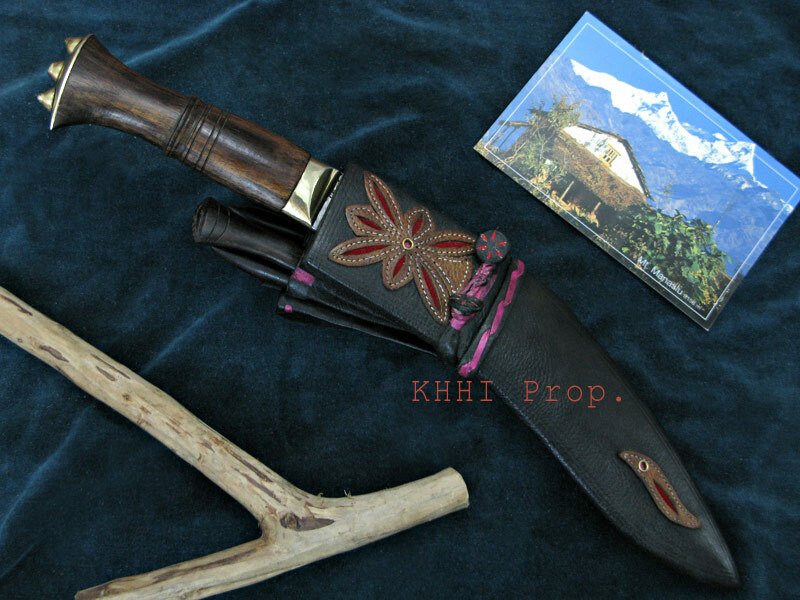 With the history and origin of the kukri dating back to the 18th century, Ganjuwal was and still is one of the famous and favored kukri knives..
With the history and origin of the kukri dating back to the 18th century, Gajuwal was and still is one of the famous and favored kukri knives within the villager’s and farmer’s community. 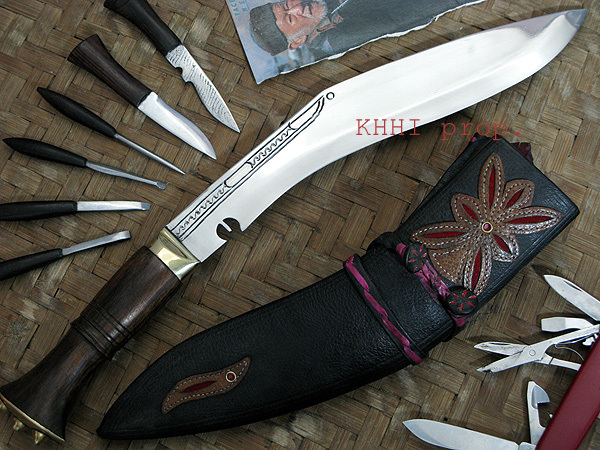 The knife proved to be more useful, like a utility tool because of its exclusive construction/feature when villagers had to make long journey into woods away from home, thus the kukri was excessively used and selected for the very reason. The original “Ganjuwala” (what it was called then) actually used in history have been long gone in the midst of time and civilization therefore a replicated (authentic and usable) version of it, the “Ganjuwal Swiss” has been introduced (the word “Swiss” derived from Swiss Army knife to support Ganjuwal’s multi functional accompanying tools) by KHHI. 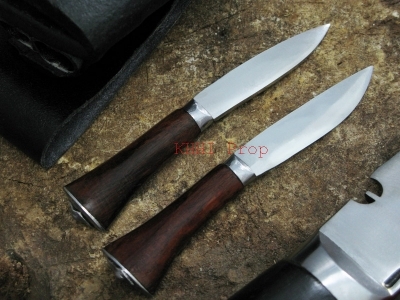 The kukri blade has also been slightly modified to meet the demand and market of the modern era (blade shortened and polished, decorative pattern introduced). The Ganjuwal still holds its legacy as a perfect utility tool and also a precious possession of a farmer in the rural villages of Nepal. 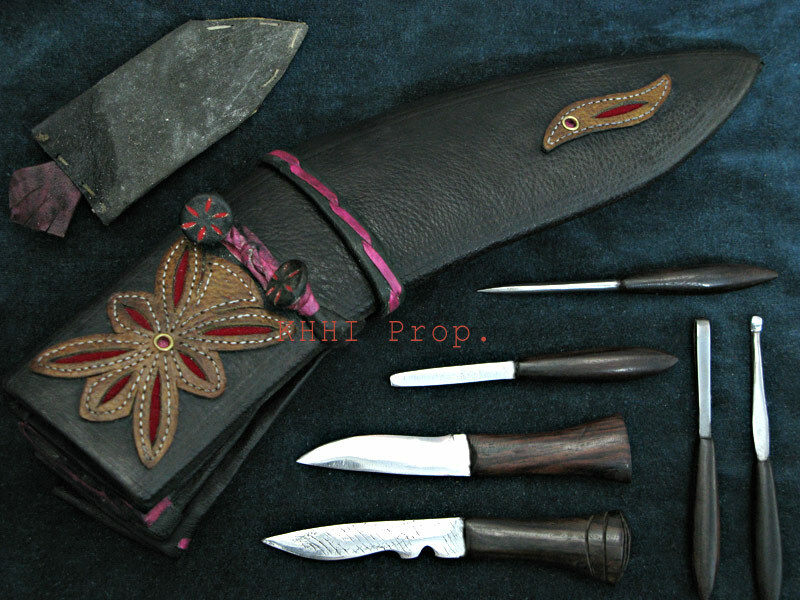 The blade of the Ganjuwal is a standard sized kukri knife but with three keepers in pommel to reinforced the handle fixture. 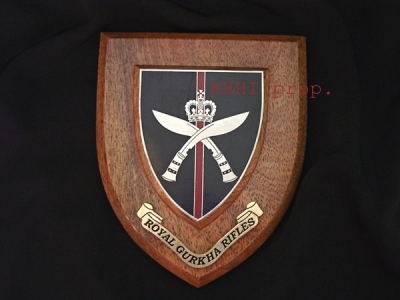 The scabbard of the Ganjuwal Swiss is where all the time, effort and money is invested. The making or preparation of this special kind of buffalo leather is a painstaking job that needs hard work and patience. It goes through a number of stages and requires numerous materials and supplies to complete the process, which, thus may not be possible to mention them all. Therefore briefly speaking, the buffalo hide is submersed in water mixed with salt and lime for almost a month and regularly rubbed by feet to soften the leather. Adding various natural herbs from roots of plants and barks of selected trees is also one of the steps in the process done to prolong the life span of the leather and to avoid decaying. Then the prepared leather is again continuously rubbed, twisted and folded for hours with “Tori ko Pina” (paste of mustard plant achieved after grinding) while making the scabbard to get the natural embossed pattern within the leather. The excessive rubbing of the leather results into tiny beads like mold all over the surface, which makes the scabbard distinctive, attractive, durable and decay free. Then traditional pattern and linings are overlaid in the scabbard to beautify its look. This simple yet attractive adornment of the Ganjuwal have been its trademark that distinguishes and recognizes the kukri from the rest. 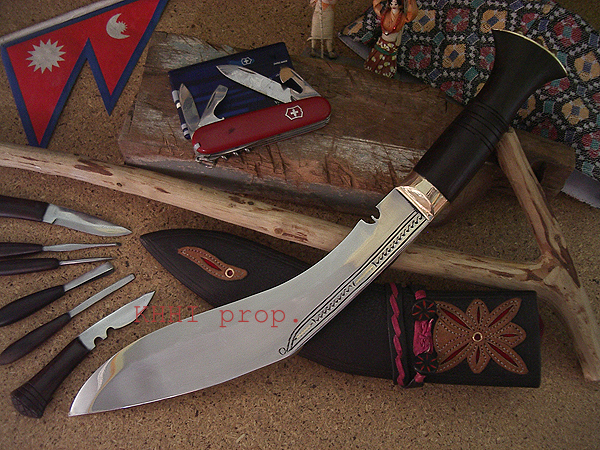 Gajuwal’s number of accompanying tools along with the basics (Karda and Chakmak) also makes the kukri so different and special. Karda and Chakmak are made with special care and attention. A screwdriver, ear cleaner, tweezers and needle complete the utility set of the Ganjuwal. A small leather pouch is also secured at the back of the scabbard’s throat to store small but important objects like flint powder, traditional medicine dust etc. An extra empty hole or bag is also fitted, just incase an extra tool is needed. NOTE: Here we would like to caution that the multi tools mentioned above are mere replica of the original ones and do not function well as the main purpose is to exhibit the tools from the past. In today’s context much better and cheaper modern replacer are already avail in the market if it really has to be used.